Lincoln Surgical Associates surgeons are skilled in state-of-the-art robotic surgery. The da Vinci surgical systems at Memorial Hospital Belleville and St. Elizabeth's Hospital give Lincoln Surgical surgeons the ability to perform a number of laparoscopic and minimally invasive procedures robotically on a select group of patients who may benefit from this type of surgery. Our surgeons can perform both complex and routine surgeries using the da Vinci system. Minimally invasive robotic surgery offers cutting-edge precision for surgeons and results in smaller incisions, less scarring, and shorter recovery times for patients. 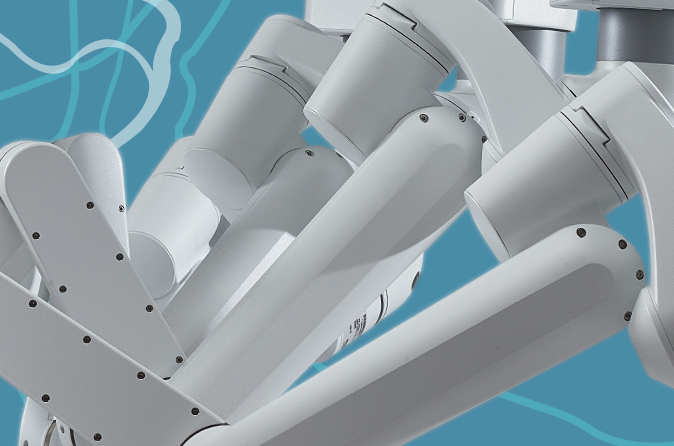 Although it's called robotic surgery, our surgeons are in complete control of da Vinci's robotic arms, which can bend, pivot, and rotate with ease and precision, much like a human hand. The da Vinci systems also offer state-of-the-art, high-definition imaging, so surgeons can more easily see the areas they are repairing.